Yu Darvish struck out eight on the way to his first win of the major league season Monday, as the Chicago Cubs beat the Miami Marlins 7-2. 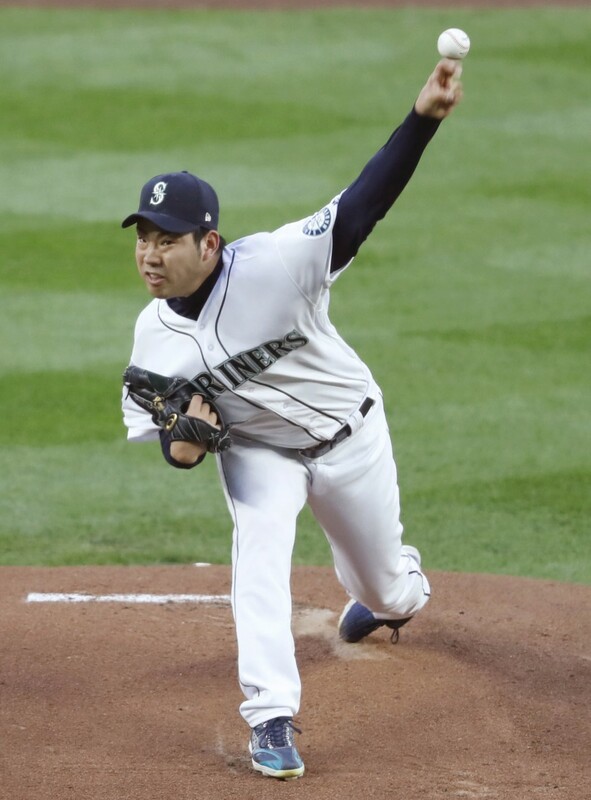 Fellow Japanese starter Yusei Kikuchi (0-1), meanwhile, is still winless for the Seattle Mariners after getting tagged with the loss in a 6-4 defeat to the Cleveland Indians. Darvish (1-2), whose most recent win for the Cubs came in May 2018, was aiming to turn around his fortunes against the lowly Marlins. His three previous starts this year had resulted in two losses and a no-decision. The right hander got the breakthrough at Marlins Park following a season-high 5-2/3 innings. He gave up both of Miami's runs, but limited them to four hits and the same number of walks over his 96-pitch outing. Darvish received an early boost when the Cubs took a 3-0 first-inning lead after Miami starter Trevor Richards (0-2) walked in a run following a 2-RBI double from David Bote. The Marlins scored on a fielder's choice in the second, after Darvish opened the inning with a pair of walks. They then cut the lead to one in the fourth, when Chad Wallach hit a solo home run off Darvish's first pitch, a 150-kilometer-per-hour (93-mile-per-hour) fastball. Chicago's offense gave Darvish some breathing room with a pair of runs in the top of the fifth. He left the game in the sixth with two out and the Cubs up 5-2. Following a difficult start to the season, the win is an encouraging sign for 32-year-old Darvish, who has struggled to justify his $126 million contract since joining the Cubs last year. The Cubs, sitting fourth in the National League Central division, improved to 6-9. At Seattle's T-Mobile Park, left-handed rookie Kikuchi gave up a pair of runs in the first and another in the third. He left after six innings with the Mariners trailing 3-1, having struck out five, while allowing five hits and three walks. The Mariners rallied in the eighth, cutting the lead to one on homers to Edwin Encarnacion and Omar Narvaez, but Cleveland closer Brad Hand killed the comeback with a 1-2-3 ninth. Trevor Bauer (2-1) got the win after going 6-2/3 innings, while Hand picked up his fifth save. The Mariners, who dropped to 13-6, sit half a game back from the American League West-leading Houston Astros. Despite generally solid performances, Kikuchi has suffered from a lack of offensive support, with all four previous starts ending in no-decisions. The highly touted 27-year-old joined the Mariners via the posting system on a four-year deal including club options that could be worth up to $109 million over seven seasons.